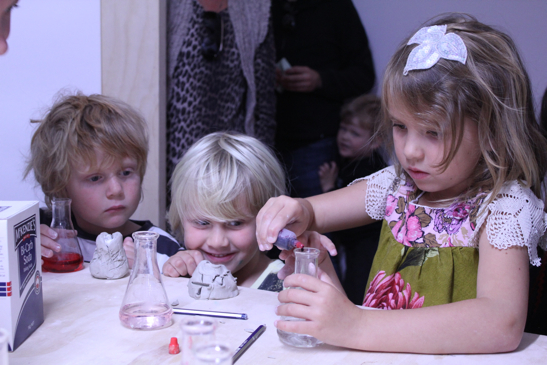 AccessArt is the Tasmanian Museum and Art Gallery's dedicated art education program. Established in 2008 with the generous support of Detached Cultural Organisation, AccessArt delivers programs for all ages with a focus on making contemporary art more accessible to the whole Tasmanian community. AccessArt programs fall broadly into the categories of early childhood and family learning, schools programs, adult learning, community outreach and education resources, and include in-house programs at TMAG and Detached gallery, outreach workshops at schools and community organisations as well as professional learning opportunities. AccessArt also provides programs and experiences that support selected contemporary art exhibitions at TMAG. AccessArt is also involved in partnership activities such as the Creative Connections in the Early Years pilot program which was delivered in 2011 in partnership with the Tasmanian Early Years Foundation. Further information about the project is available from the Creative Connections in the Early Years website. Full details of AccessArt initiatives and activities are available in the AccessArt 18-month report. Almost all AccessArt programs and services are available free of charge to ensure these programs are available to as many people within the Tasmanian community as possible. This page was last modified on 2nd December 2015.